Air Canada is bringing a Canadian dish to the District to encourage travelers to fly with them. WASHINGTON -- If you have been considering Canada for your next vacation, Air Canada wants you to fly with them. To convince travelers, they're appealing to D.C. residents with something the city is no stranger to: A pop-up eatery. A poutinerie, to be exact. For just one week, from Friday, November 9 through Thursday, November 15, Air Canada will be offering a poutine-serving pop-up in DuPont Circle. Poutine, which originates from Quebec, is a peculiar, but delicious and beloved treat, consisting of French fries covered in cheese curds and gravy. 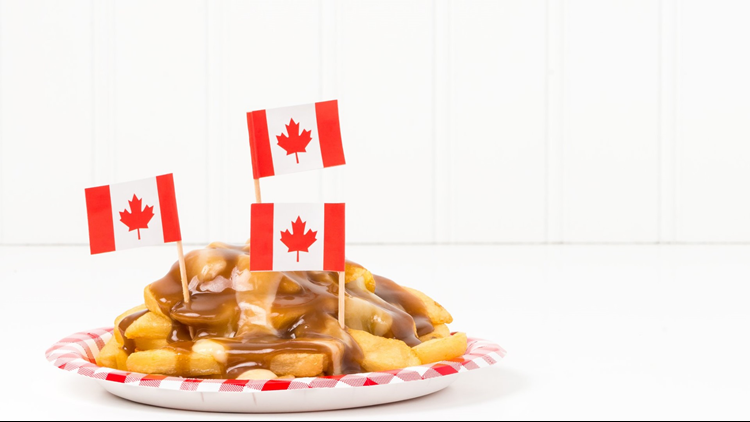 Air Canada’s expansive menu of poutine at their pop-up, while still containing the original, reminds prospective travelers of which cities they fly to. Yes, there’s a Rome-themed poutine, containing mozzarella cheese and eggplant, and a Seoul-themed poutine, containing kimchi and cilantro. And that isn’t all: The airline promises a “virtual reality” experience, which allows visitors to “take-off” with them and also offers a social media promotion to give travelers a chance to win tickets. Each dish costs $5, with drinks costing $4. All proceeds go to Martha’s Table. The poutinerie is open from noon to 10 p.m. at 1351 Connecticut Avenue Northwest.